Fans of Bauhaus-style furniture or pure, elegant shapes will love this special V-Cube line. Each unique model features a roomy and comfortable cube cave mounted on a three dimensional curved tubular steel frame. 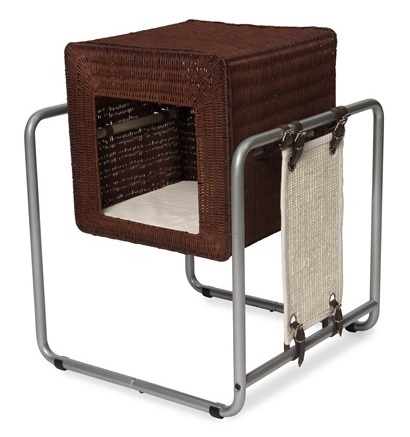 Like the cave, the scratching mat is attached with straps to the side of the steel frame.